"The real loneliness is living among all these kind people who only ask one to pretend!" 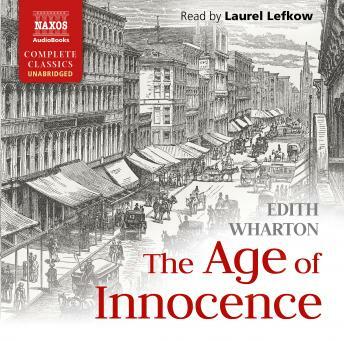 Awarded the 1921 Pulitzer Prize, the first to be presented to a woman, Edith Wharton's The Age of Innocence is a powerful depiction of love and desire in New York's glamorous Gilded Age. When Newland Archer, happily engaged to May Welland, meets fiancé's cousin Ellen, his entire future is cast into doubt: strong-willed, witty, and entirely unpretentious, Ellen is unlike any woman he has ever met. He is torn between his infatuation for her and his duty to marry May. In subtle and elegant language, Wharton delivers a critical look at the social mores of the time.